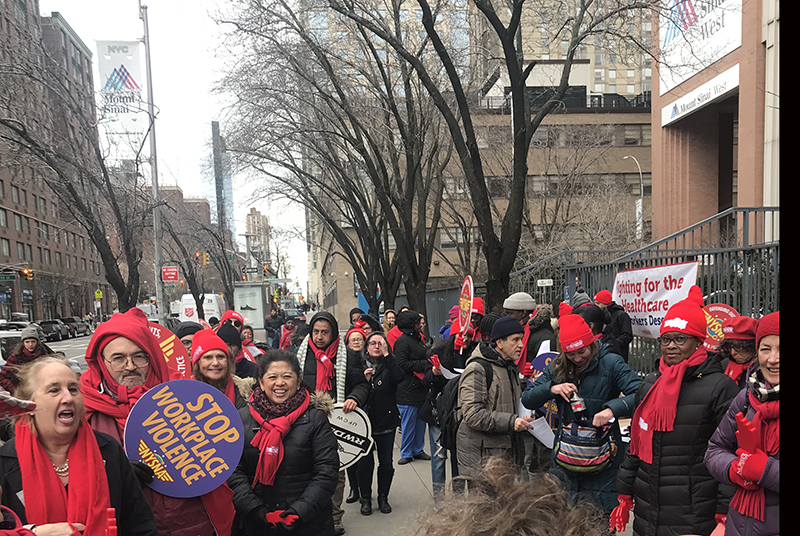 NYLPI Health Justice Director Laura Redman spoke at a rally by the New York State Nurses Association this morning outside Mount Sinai West hospital in support of more nurses, increased accountability, and safer hospitals for patients. The association is rallying around safe staffing ratios to support quality care for all patients. We need enough nurses to do the job with minimum nurse and caregiver-to-patient ratios.